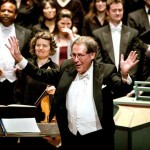 Donald Teeters served as music director of The Boston Cecilia for forty-four seasons (1968–2012), and was subsequently named conductor emeritus. Throughout his tenure, he was in the forefront of historically oriented New England musicians and was the first Boston choral conductor to engage period-instrument players for pre-nineteenth-century works. In 1982, he and Cecilia began a comprehensive survey of Handel’s major dramatic works for chorus. These performances elicited the highest praise from public and critics alike and played an important role in establishing Boston as a world center for stylistic Handel interpretations and historically informed performance practice. Mr. Teeters also led Cecilia in significant explorations of twentieth-century English music, especially that of Benjamin Britten, and American repertoire, including premieres and commissions from important New England composers. Music by John Harbison, Donald Martino, Daniel Pinkham, Robert Sirota, and James Woodman figured prominently in recent programming. 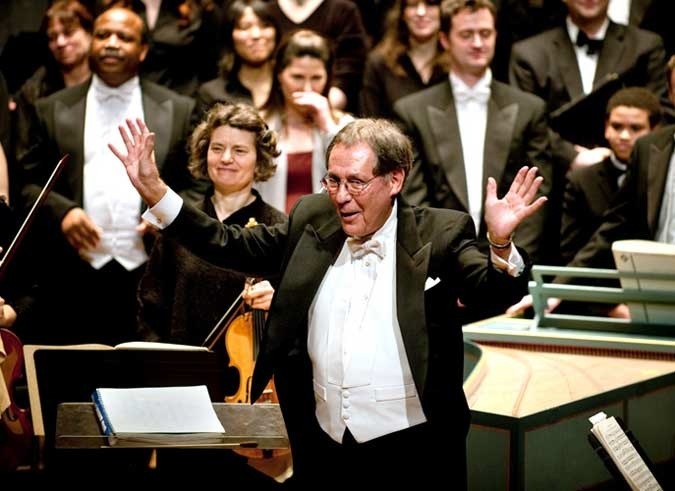 Prior to The Boston Cecilia, Mr. Teeters was associate conductor and keyboardist for Boston’s Chorus pro Musica, under Alfred Nash Patterson. In that position, he assisted Patterson in preparing for performances with the Boston Symphony Orchestra, including Bach’s St. John Passion and Wagner’s Lohengrin. Mr. Teeters was also awarded a Tanglewood Fellowship for the 1967 season. Since 1967, Mr. Teeters has been the principal church musician at All Saints Parish in Brookline. He was a member of the New England Conservatory (NEC) organ faculty from 1970 to 2002. For the spring 2007 semester, he rejoined the faculty to lead a graduate seminar in Handel’s English-language dramatic works. He received NEC’s Distinguished Alumni Award in 2004, and, in 2005, received a Lifetime Achievement Award from the Alfred Nash Patterson Foundation.